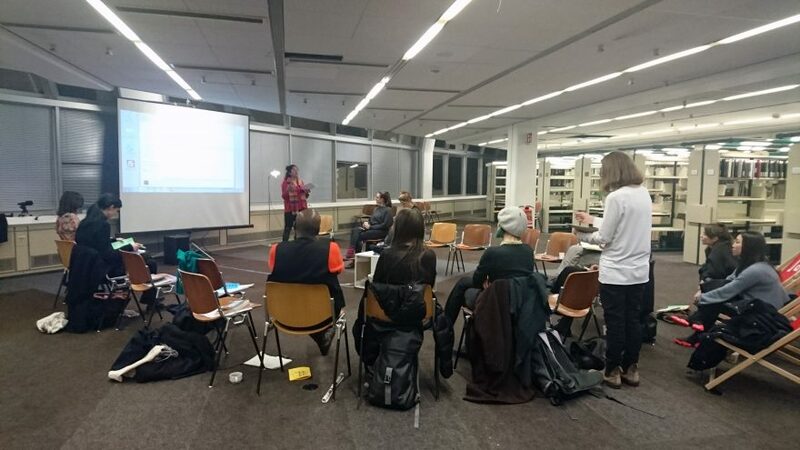 The gathering assembled a group of artists, archivists and scholars committed to finding disruptive and engendering modes of engaging with archives. They discussed the entangled, queer and messy ways we create meaning and images today by looking to the past and imagining the yet-to-come. Over the past two decades, the archive has emerged as a crucial site of feminist knowledge production, activism and visual art practices. Feminist archives, special collections and informal repositories have been used to document art practices and activist movements. Through such archives previously obscured forms of knowledge and practice can become visible. Ego Ahaiwe Sowinski (independent artist/designer, archivist and organizer), Kathy Carbone (scholar and archivist, University of California Los Angeles) and Roshini Kempadoo (photographer, media artist and scholar, University of Westminster, London) staged presentations and conversations that traverse transatlantic historical contexts. They explored a variety of archival materials from the Women’s Art Library, the Women of Colour Index, the California Institute of the Arts, The Feminist Art Program Materials, the National Archives of Trinidad and Tobago (1920s–1960s) and contemporary artworks from the diaspora and the Caribbean. The gathering took place in English and was part of the program accompanying the exhibition DARK ENERGY. feminist organizing, working collectively opening March 28, 2019 at xE, Eschenbachgasse 11 at the corner of Getreidemarkt, 1010 Vienna.